"A wonderfully refreshing look at leadership that contains countless insights on how stories create meaning and can inspire even cynical management to act. Its central message kept resonating in my head for weeks after reading it. I highly recommend this book." "It is hardly a nutty idea that narrative is a useful means of transferring knowledge from one human or squirrel to another. 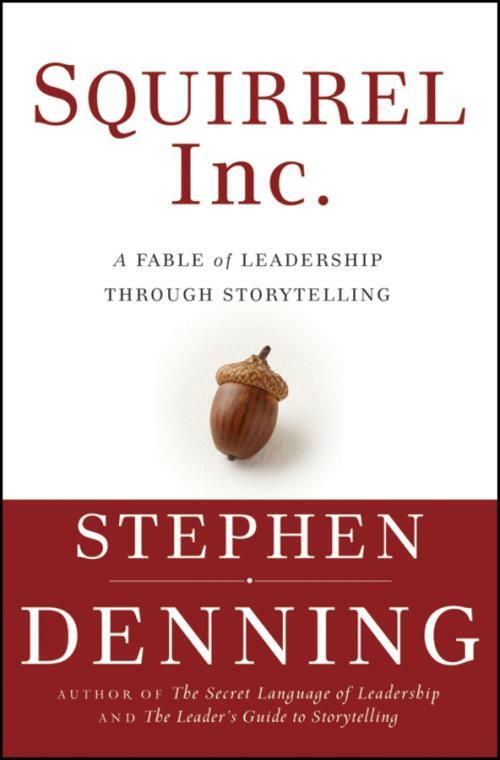 Steve Denning′s wonderful story about stories is a unique way to tell a fundamental truth about how organizations improve their performance." "I′ve witnessed the power of narrative in my work and life, but I haven′t had the tools to effectively employ story when I′ve needed it most. Denning′s book provides the ′how to′ for which I′ve been looking." "Steve Denning is one of the most imaginative knowledge practitioners around, so it isn′t surprising that he′s produced a charming and illustrative fable about organizational life (among other things). Read it and grow wiser in the ways of squirrels and men!" "The success of a leader can best be measured by how many who actually followed. Steve Denning′s work is an important reminder and great inspiration to all leaders who wish to connect with their employees on all the human dimensions required to create true followership." The author explains the purpose of the book and the process by which it came to be written. Diana is an up–and–coming executive at Squirrel Inc., an organization in decline. She seeks guidance from a bartender on how to persuade the organization to change. She learns, in nine steps, how to craft a story to communicate a complex idea and spark action. After initial success with her story at Squirrel Inc., Diana returns to seek further guidance from the bartender on how to enhance the performance of her story. After the success of her story with the managing committee of Squirrel Inc., Diana joins employees to explore other ways in which storytelling can help address the challenges the firm is facing. Whyse shows how storytelling can enhance communication in corporate environments by communicating who you are. Hester shows how storytelling can be used to get individuals working together. She presents five steps to craft a story for nurturing a community. Mark shows how stories that are told and retold in a organization, particularly about the organization′s leaders, transmit the organization′s values. Mocha shows how humor can be used to harness the power of the informal network of communication in an organization and to tame the grapevine by neutralizing rumors and bad news. Howe shows how the sharing of knowledge takes place through a particular kind of narrative. Sandra shows how future stories visions, business models, scenarios help organizations move into the future. Meanwhile Howe reveals some unexpected developments within Squirrel Inc. The discussion in the bar now turns to what will happen next at Squirrel Inc. Will the old way of doing business triumph? Or will Squirrel Inc. carry through with the change? The characters explore these and other possibilities. As the continuing tale of Squirrel Inc. unfolds, the characters encounter a variety of surprises and Diana goes on a journey. We learn the impact of storytelling on Squirrel Inc. and on Diana herself. The nature, form, and purpose of seven high–value kinds of organizational storytelling are compared, in a table.